Ah, what surprises we will be in for when they reach North America! What songs will they sing? Will we hear the new duets? The old duets? The new solos? The old solos? Unfortunately they cannnot sing them all! We will love whatever they sing, but some will be disappointed in what they don’t have time to sing. We can only hope they sing our favorites. These last several concerts have produced countless uploads to You Tube and FaceBook and are being enjoyed by all. The guys are up to their usual antics (ok, mostly Ignazio! ), but they are still showing their serious side. I heard Ignazio’s first version of “Tonight” from Jan 6. The power of his voice was incredible. His depth in range is truly magnificent, and it literally gave me goosebumps upon listening to it. However, I felt it still needed a little work…. Well, he must have been listening because just 2 days later, I could see much improvement, although he still needs a little work on his diction, but the notes were certainly there. I know I will get some heat for saying this, but in my mostly unprofessional, personal opinion, I think Ignazio could rival both Gianluca and Piero if he wanted to! He may have come in third in the original song contest, but he is proving to be the most versatile of the group, and certainly the winner in my eyes and ears! Let’s talk about emotion…. We always knew that Ignazio sang with his heart on his sleeve, but Gianluca is always getting the praise for letting his emotions show as he sheds tears of joy. However, at the Ancona concert, Ignazio also shed a few tears. At the end of the Pino Daniele song, “Alleria,” Ignazio is overcome with emotion, lets loose his tears, and we even see him wipe his eyes, as he bends his head, trying to compose himself. But why is our Ignazio so overcome with emotion? Is he already afraid of what the future holds for him, for Il Volo? Is he afraid one day they will wake up and this will all be over? Is he fearful of a love he has not yet found, will go away and be forgotten? Is he afraid that all that he gives, his love, will be lost? Is he afraid he will never grow up? That his life will be this song? Yes, many might say that Ignazio acts like a child and fools around too much; makes too many jokes. But maybe he just wants to share his joy of life with us!? He wants to make us happy and make us laugh! Maybe he has found out already that life is too short to be grumpy? I’d like to think that Ignazio possesses the cherished and often lost “child-like” quality of youth. Someone that is not afraid to laugh, be funny, turn around too many times on Volare, do a twist and jump from the stairs in Surrender, and jump off pianos (although I’m glad he seems to have stopped that one!). Our dear Ignazio, please do not be afraid. Please continue to be the person you are. Always be true to yourself and your feelings. These will be your strengths. Do not fear the others that will judge you; for they do not understand. Continue to keep your feet on the ground, but your seatbelt fastened, as there will be some turbulence along the way on your flight to success! Thanks, Joanie, me too! There is so much “fake” going on in the music/actor world, that it is refreshing to see someone be real, even though it may not always be reflected in a positive light? thank you for your comments, I believe you have our Igna to a T. A very sensitive funny man. Yes he acts silly sometime, but we all love the child in him. You can see he enjoys life to the fullest. Thanks, Linda! He is a treasure, no doubt! Jana, looks like we all see him clearly. Thanks for pointing that out. Very touching post. You know (you all know) how I feel! I have to say I have seen him with tears a very few times. They are all deeply emotional. I believe that’s what makes their music so dear. I have to say, however, that I think the soft heart award goes to Gianluca. Thanks…Funny, as much as he says he is private, he is actually more revealing than he realizes? I don’t know about the winner of that award? I think he is equally soft-hearted, but in a different way. He sees things differently. People used to call me “hard-hearted” because I seldom cried about anything publicly, or got emotional; however I was quite the opposite! Jana that is a great post on Ignazio & I agree with you wholeheartedly that Ignazio can hold his own in singing, in his personality & sense of humour & his comedic jokes. and I think he is the most handsome of the three. He loves to laugh & also to bring pleasure to people. I would love for him to sing the operatic airias as Piero sings because he has proved to everyone & himself that his voice is comparable to Pieor’s in quality. He seems eratic at times but that is part of his make-up. He is sincere in wanting to make people laugh. In my book he is the whole package, handsome, talented, sincere, honest & I love him with all my heart & wish the heck I was 20 years old again. We would have been married a long time ago. If people think he is silly & foolish at times that is him trying to please. That is Ignazio. He is well educated & knowledgable & has a heart of gold & is easily hurt. This is my opinion & the one thing I don’t want to see is him hurt especially by interviewers. preger the smooth, velvety and warm of Gianluca’s voice. you can dream as much as you want both of you, but He is MINE, full stop. I love Ignazio and he is definitely the comic relief of the three with endless energy and personality but it is very distracting when he acts out when Gianluca or Piero are singing. They don’t do that to him when he is singing so he has to learn to give them the same respect when they are. Other then that he is perfect !!! I don’t know if any of you agree with me but I just needed to air this. That aside–I can’t wait to see and hear them in Feb and March !!! I hope Ignazio sings “Memories” !! He sings it so magnificently that In Orlando in 2013 the audience was on it’s feet walking towards the stage while he was singing it !! My first concert and M&G will be in Washington DC Feb 19th where the Granny Groupies will reunite for the first time since our trip to Italy last May !!! This is going to be a very exciting year indeed !! I can’t wait !!! I have to agree Joanie (gulp). You know I hate to find any fault with the Handsome Hairy One, but I don’t care for the distractions either. Here in the states it’s called “upstaging”. Which is not a nice thing. “We” don’t do that. I chalk it up to the Italian way. Remember the TLUC days? There were Sparklers and dancers and video’s and camera’s wandering to God know’s where including other children, the orchestra and singing judges, all at the same time! I also chalk it up to that when the Italian audience sings so loudly. It’s their way and I understand it is welcomed as a tribute to the performer. I can’t help but sing while in the audience, but I do it under my breath. No one can hear me. At least until we are all invited to sing by one of the Guys. And that will be soon!!! Yes Marie !! We will be singing soon !! We have to memorize Grande Amore and Ancora in Italian !! They will be impressed that we Americans know it !!! Gianluca in Roseto asked me if I know Grande Amore and when I said yes I hum it all day long he was surprised and said “You Do !! !” So cute !! Did Ignazio usually get “downplayed” in the beginning? Maybe that is why he seems to invite all of the attention? I’m also sure losing the weight played a major part in his blooming personality and gave him a lot of confidence that he may not have had before (I can relate to this, as well!) I don’t know, they may hear me in the front row? lol! I totally agree with you about his jokes while the others are singing (he does it especially with Gianluca). I have commented this several times but I was criticized because some of his fans think this behavior is part of the script scene but I don’t think so. I don’t know why my comment was not post, so I am sending again. Welcome Josie! Yes, I think Ignazio and Piero have some inside Sicilian jokes going on a lot of the time, which leaves Gianluca out? Although, I have seen Gian and Piero chat while Ignazio sings. They say a lot of the interaction up on stage is not planned….? It is true, I don’t, personally, condone some of his antics and I’d love to know what they are always chatting about between phrases of the songs when they aren’t singing? Although, somehow they never miss their cue? Maybe Gianluca doesn’t mind, or just blocks it out, chalks it up to, “that’s just Ignazio…?” In regard to Memory, I think he may have retired that one for a while, I love it also, though! Yes, it will be great for you to get together again. I am so fearful of the weather though – it has been so whacky already! I think we all need to pray to the weather gods… 🙂 Be safe this weekend if you are near DC? They say a big one is coming! Oh & I forgot to mention Ignazio’s smile lights up the world & Marie he is definitely MINE. I don’t like to criticize any of them because I do love them with all my heart but he is doing that more lately. Especially when GG is singing. Jana, What a beautifully written tribute to Ignazio. You have seen his true persona . We know that “clowning around” often is a cover-up for sensitivity, and you have seen the deeply sensitive person that Ignazio is. I think he also likes to make people laugh just for the fun of it. It has been so great to see how his voice has developed. The range and richness of it is amazing. He brings his deeply emotional side to the interpretation of the songs and has the power to move the audience along with him. Great things are ahead for this dear man. Yes, Ignazio has been doing it a lot lately, and more when Gianluca is singing. Mary – thank you! Yes, I believe I have said it before, I truly identify with Ignazio – it’s almost creepy in a way that I feel I know him better than himself at times, because I see so much of my own personality in his when I was younger. I just want to tell him all the lessons I have learned along the way, so he is prepared. But, I suppose he will learn, as I did. Oh yes, I hope I live long enough to see him develop his truly awesome potential! Loretta – thanks for pointing that out! Yes, all jokes aside, I think they all truly respect each other for their individual talents. I remember the one interview they did during Eurovision and Ignazio seemed truly in awe of Gianluca because he could sing the low notes and literally vice versa! And we never really know what goes on when the cameras are not rolling!? Jana, I agree with you. Ignazio has said that when he is on stage he likes to have fun. He would not be Ignazio if he did not have fun and make people laugh. He makes me laugh and that makes me happy. Keep up the good work Ignazio. That is so true – in somewhat of a “bad” way, it’s what we expect and when it doesn’t happen, we are sometimes disappointed. Dorothy – thank you! Yes, so totally agree with you! Less than 6 weeks for us! Time is going so quickly now, as I knew it would after Christmas. Beautiful post, Jana. One of the million things I love about our guys is the fact that their own true personalities come out when they are singing for us. I have never seen such honesty and pure “being themselves” from other singers when on stage. That to me is really a neat thing. Especially to see such young people so totally comfortable with who they are in life. Really neat. I understand what Marie says about all of the activity going on in Italian TV show as compared to American entertainment. I think it’s just their way and they are used to it, we are not. Thank you, Jane! Yes, so totally agree! They are the real deal! As they say, “every rose has its thorn?” You can’t be perfect all the time, although it’s hard for some of us to believe, those angels can be devils and we have seen it firsthand! They are, only human, after all? Thank you, Jana, for a wonderful posting. I love all three of these fine young Italian men, but I must admit that my feathers get ruffled when I feel criticism is directed at my favorite, Piero. But I realize that being in the public eye means Piero, Ignazio, and Gianluca are all going to have to put up with some unpleasantness once in a while. I wonder if they will be unhappy if US audiences don’t sing along as often as Italian audiences. re: Ignazio, from the beginning he was as well trained as the other two and could do classical arias with precision when called on to do that. He demonstrates quite often his control over tone and vowel placement and his ability to sing the highest notes with superb support. This may not show up as often because he chooses to sing in a more “pop song” style these days. But even then – as in the Pompeii concert – he can take a song like Caruso and treat it like a classical aria. re: emotion – nothing against the other two – I love them each for different reasons – I have always felt that Ignazio was the one that showed emotion on his face more easily than the other two . In the last two years the other two have felt more comfortable showing this to the audience. I agree with you completely, Myron. He does show more obvious emotion in his face when he sings. And his voice just continues to improve! Jana, you put my feelings of Ignazio in words I couldn’t find to describe my love for him! I love all three, but was drawn to Ignazio the first time I saw and heard him! Anna – that is so sweet of you to say, thank you! I just have to add to my comment. Someone once said that Il Volo is comprised of three emotions- power( Piero), passion( Gianluca), and joy( Ignazio)!!! I think that’s so true! They are three different young men with different voices and personalities. Three Voices, One Soul! They belong together and are The Flight!! They each bring special talents to the group and we are so lucky to have them in our lives!! I can’t imagine life without them now as they have become a part of our families! I personally don’t have a problem at all with Ignazio’s jokes, etc!!! We need him to make us laugh! I don’t think he means any disrespect at all! He is so full of life he just has to show it!! Anna – thanks, I love your comments! 🙂 I agree with you also. I love all the different analogies we can find to compare the guys with. I find it interesting that you also said Ignazio is joy – as that is the name of his cologne – Acqua di gio – the essence of joy, as translated on the Armani site. Although technically acqua does mean water? I guess it’s all a matter of interpretation. Ignazio’s true essence, certainly brings us joy! Thanks for this great post Jana and Anna I totally agree with Il Volo being comprised of power (Piero), passion (Gianluca) and joy (Ignazio)! Each one has such an amazing voice and there are times in certain songs, I think no one could sing better than Piero or Gianluca or Ignazio and when all together, they are perfection. I do enjoy and love that Ignazio is so unpredictable and feel he has so much energy, he just has to do something. I still feel the video tribute at Radio City Music Hall that Ignazio made for Gianluca and Piero was one of the loveliest and most touching moments and he was still a teenager! I too am happy that he isn’t jumping off pianos on this tour as I was worried about that. I also think that the one year anniversary of Pino Daniele’s passing may have made him more upset. It is wonderful that even though they may get upset with each other occasionally, a few minutes later they are just as loving and affectionate with each other. Margaret – thank you! Yes, that video was the sweetest! I think they were all a little teary-eyed after that one, especially that was right after Ignazio was drugged and robbed? (from the book, if you haven’t seen it?) Yes, the anniversary of the passing of Pino could certainly be why he was sad… Yes, I’d love to know what goes on behind the scenes that we don’t see? After over 6 years of being together now, I’m sure they have a good understanding of each other! Power, passion and joy…Piero, Gianluca and Ignazio. Yes, I like that very much and I am much in agreement with that assessment. Thanks Anna! Actually, I think Ignazio performs a very important role for IL VOLO with his sense of humor. Sometime back in the late 90’s I went to a concert of a well known C&W lady. Beautiful voice but she was boring on stage. All she ever did was walk back and forth. She never really engaged her audience even when she talked to us. Our Italians are very engaging and Ignazio mixes it up with his sense of humor and if you notice, Piero is more than happy to join in too. As for Gianluca, well he plays an important role too, he is the straight man to Ignazio and Piero’s cut-ups! Maybe some of it is distracting to you but I think you would really miss the stage cut-ups if they took them out of the show. 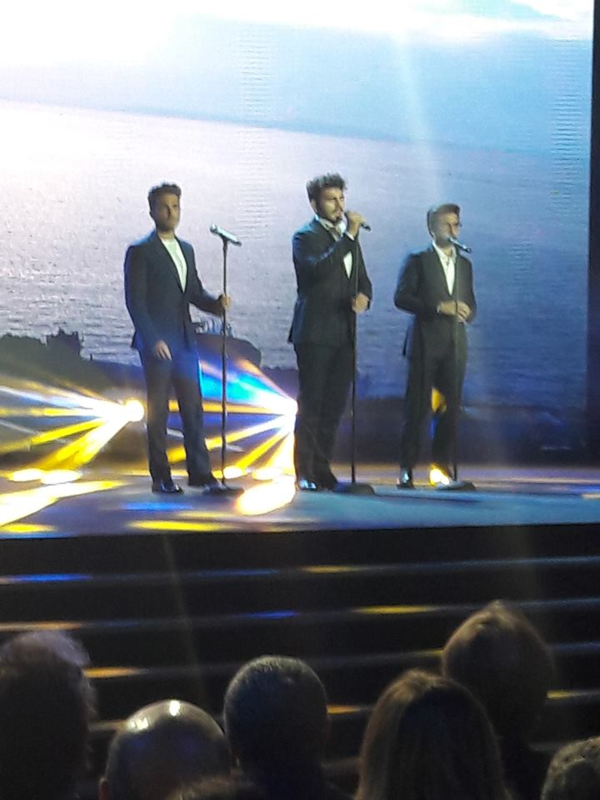 Its not all marvelous singing that makes IL VOLO so enjoyable, its the fact that they love what they do and it shows. Yes, Pirate! It’s what we’ve come to expect from our guys. Wouldn’t it be fun though for them to change roles once? Can you see Gianluca playing around, or Ignazio playing the straight man? lol! I recall the one video last summer when Ignazio accidentally split his pants on the one Surrender song and he is showing to both Piero and Gian what happened while they are all trying to sing. I recall while Gian singing the serious part, Ignazio catches his attention and Gian cracks this big, wide, grin for literally a split second, then goes back to serious mode and finishes singing his part! Talk about a lot of self-control on Gian’s part! I think they have to do some funny break in the show, also for themselves to relax a little between the songs, but not when one of them is singing. When this occurs Gianluca keeps singing as if was nothing going on. Maybe is his way to say you can’t take off my concentration. I have a grandmotherly love for Ignazio (and P & G) and only want the best for him. I told Marie that i have invested six years in our “relationship” and therefore feel that once in a while I can give advise or show disapproval. He is the most talented and versatile of the three boys but basically he has insecurities that are masked by his clowning. He has overdone some of his antics this summer and especially since they started their January tours. Everyone loves his humor and silly antics but some lately detract from his serious performances. No matter what I DO LOVE YOU and just want the very best for you. Gina – you are so right! They need the hugs when they least deserve them! So, Ignazio needs the biggest one, right? 🙂 Yes, some antics are over the top, but personally, I will never forgive Piero for what he did to Ignazio last year on his birthday! At least Ignazio has never physically hurt anyone! I do love the other guys but the first time I saw & heard Ignazio he resembled my grandson who was also heavier as was Ignazio at the time & I couldn’t help myself I thought he was magnificent & that hasn’t changed. That was 6 years ago. I agree with everything all have said here. But I also sense Gianluca is relazing & making comments now when the joking is going on, And I don’t think Ignazio would try to ruin Gianluca’s performance on purpose although I haven’t really seen any of what you other ladies have mentioned of what Ignazio is doing when Gianuca is singing. I never want them to split up because without either one of them there is no Il Volo and I am glad that Piero said he wants to still sing with Il Volo even if he is singing opera concerts. Jana! Very well done! Some of Ignazio’s tears may come from the recent one year anniversary of the death of Pino Daniele. He was a dearly loved Italian singer. It was all over their newspapers, especially in Naples where he was from. Ignazio mentions him frequently and I would guess this played a part in his tears. Lynn – that is very possible! Although he does sing that one medley of Pino’s and doesn’t seem to get too emotional? Maybe it was something in that song that just struck a chord with him? Thank you! Great post, Jana. This is just a thought, but when I was a child, I was a very plump, well, fat, child with curly hair. My sibling was thin and petite. I was “treated” a little differently being called the “cute, fat” little girl. That is when I developed a very strong sense of humor, joking, etc. and it seemed to work. Besides making people laugh, it brought me the attention of being more than a chubby kid. I, also, am extremely sensitive and get hurt easily. I don’t know Ignazio’s situation as a child, but maybe that is why he still has a need to joke around, maybe a little too much. I still love to make jokes to make people laugh, but now for a different reason. Maybe that is why he was the one that I “loved” the most. I could be very wrong, but who knows. No matter what, he does have a beautiful voice and a great range. All of our guys differences compliment each other!! Seems fair. Probably won’t happen though. When I’m there I take charge of both dimples. Victoria, I am so sorry I HAD to say that. Victoria – thank you! Yes, I can understand that as well. I was also a little on the chunky/chubby side and had glasses since I was 5, so that didn’t help either! Hair so short this guy told me I was a “pretty little boy” one time in the grocery store! I told him “I’m a girl!” I think I was about 7? I think I tried the funny route also, think I’m still trying? lol! 🙂 From reading what I have so far in the book, he doesn’t say too much about being teased because of his size, but I think he does mention it once, as I recall and I think he did say, he started to “cover” it with humor. Don’t get me wrong !! I love Ignazio and everything about him including his spit and fire antics which do liven up the show !! Just not when Gianluca or Piero are singing serious love songs and the audiences sttention should be on them. He has to learn when it is appropriate for him to to be the center of attention and when it’s not. . That’s all !! I have no more to say except that I truly love them all with all my heart and only want the best for them always. Joanie – yes, tis true… there is a time and place for everything and they all, in time, will learn this…. This is my first comment. I have been absorbed by Il Volo since their first PBS special. I know how all of you feel in defending your favorite part of Il Volo, as I do. But please remember that they grow and thrive off of each other. As children and first performing as a group they drew strength from each other, knowing that each was just as nervous as the other and they still plowed through their nervousness. If one missed a cue, it was ok as it could happen to either of them. This helped them to establish their wonderful stage presence. Whatever happens in the future, none of us, their passionate fans, want to even think that our criticism or defense of any one of them would be the catalyst of the three splitting up and going their own way. I don’t really know if they read any of these comments but we can get stirred up and defensive of our ‘favorite’ one and we certainly don’t want to create animosity between them. It is amazing that all of them came through the ‘awkward’ stage of changing voices and praise the Lord, their voices have ALL developed into even better voices of angels. I just want to enjoy each and all of them as long as we have them. Welcome, Geri! Thanks for commenting! Everyone’s comments are welcome here. That is true, they do feed off of each other as I’m sure they have all learned from each other as well. I am still convinced that no matter what happens to any of them, they will defend each other til the end, true “blood brothers, or not!” Yes, it’s amazing they keep getting better – I hope they really appreciate their voice coaches. Yes, we too, as fans, can get quite carried away, and yet, if you’ve been reading all of the comments on the various posts over the years, don’t we, also, banter back and forth like the guys? I know I’ve seen a few and it’s all in “fun?” It should be interesting when many of us meet up for the first time in Vegas? 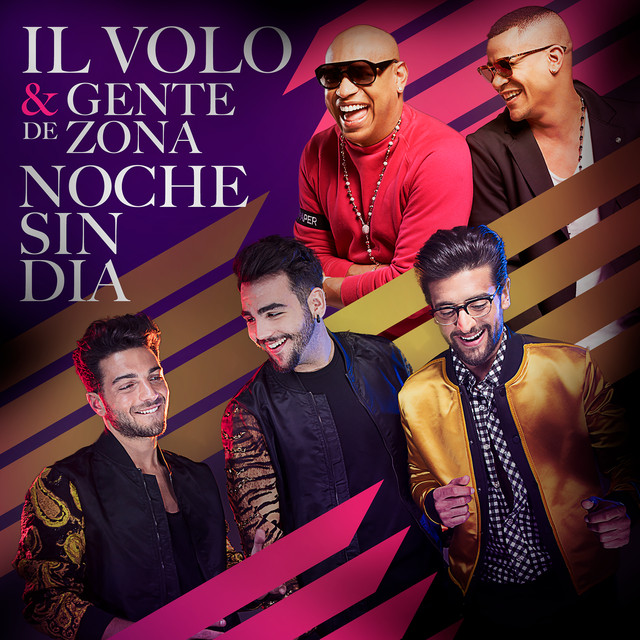 🙂 You know, speaking of changing voices, I recall I was not going to buy that first CD they had that was just entitled “Il Volo” because I thought maybe their voices wouldn’t have the same quality, etc, since they were so young. Wow, I was so wrong! It’s certainly not what they are today, but it is actually one of my favorite CDs of theirs! It was still pretty awesome! I love him. I love them all. Ignazio’s showmanship steals the show. He’s funny. He’s refreshing. He sings like an angel. I have to say that this one bothered me though. 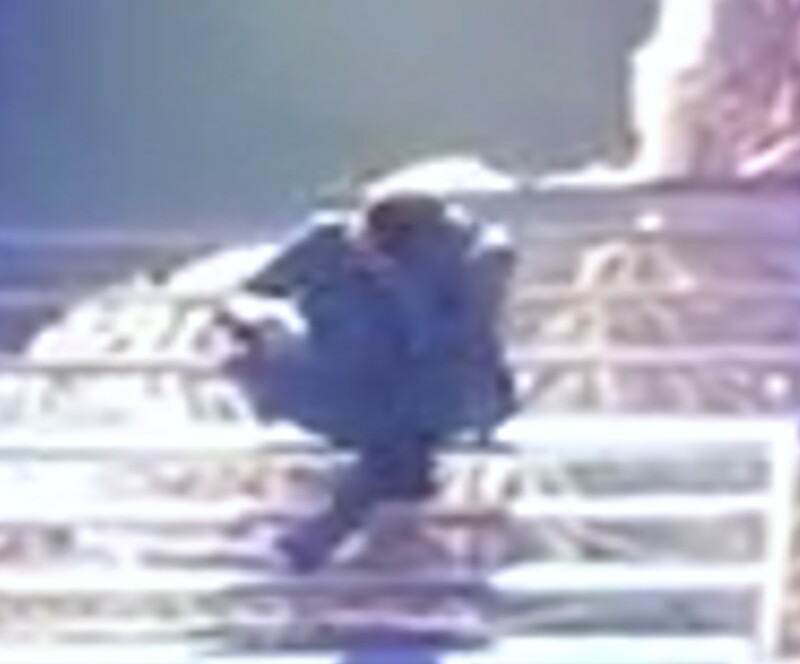 Gianluca was singing his heart out, but the audience focus and the camera were on the clown. I’m so glad we can have these conversations. Thank you Marie. I wanted to post this video but I didn’t know how. It is a perfect example of what I was talking about. ok, watched it, hadn’t seen it before…why Ignazio did that, we may never know? But Gianluca was talking with a few in the audience when Ignazio was singing? Maybe if Gianluca would lighten up a bit? BTW, is this a song we know in English? The melody seems very familiar? As far as the “clown” reminds me a bit of when we were at PBS and Piero was singing to Emilia “Angel” and Ignazio totally interrupts and starts singing Grand Amore or something? Maybe Ignazio needs more nurturing? He has a lot of respect for his sister, and says she was like a mother, but maybe he really missed his real mom not being around when she was sick? A sister is still a sister and a mom is a mom. Maybe he really is ADD and he just acts out? Only the Guys know if what one of the others does bothers them…and I’m sure they talk about it if it does. I agree with what Anna said…they are each 1/3 of whole…they balance each other out in the end. Igna is hyper, and I think he just likes adding silliness to the mix..it helps him get his excess energy out. I also think that he “acts out” more when they’re in Italy, Mexico, and South America than he does here in the US, you know? They are from a different culture, and I doubt that Gian was upset with him. We also, I think, tend to forget how young Igna (and P & G) are. For all of their maturity when they need it, they are still only 20, 21, and 22 years old. Some day we all may be trying to figure out “what’s wrong with Igna” because he stops doing this silly stuff! I wouldn’t change a thing about any of them! Ruth – yes, you must have read my mind – see my comments below! 🙂 Yeah, the US can be overly conservative at times, maybe they know that, so that is why they tone it down so much? Yes, I think it will take them twice as long to “mature” as normal, since they had to act like adults at such a young age! Ok, seriously, need some food! Ciao a tutti! Ok, wow! I certainly did not expect all of these comments! I must admit, I marvel at what peaks people’s interest enough to comment on. And often the things I think people will comment on most are not what gets the comments and vice versa! I believe I answered just about everyone’s comments…so, in general, I think we all agree we love Ignazio, but sometimes he just gets too out of hand? And many think that Gianluca is the fall guy for most of his antics? As Marie said, “I’m glad we can have these conversations here…” Me, too! I love how some of these posts really get people thinking, they touch your hearts and souls (and not just mine), to get people to post for the very first time! I think that’s awesome (ok, it’s my favorite word, what can I say? It says it all!). To the new “posters/commenters” just so you know, when you make a comment for the first time it has to be “approved” by the “author” of the post. So, that is why, sometimes you don’t see your comment pop up right away. I work all day and try not to do this at work. But it’s only the first time, and after that your comment is uploaded right away! I seriously thought I’d get nailed for comparing Ignazio to Gianluca and Piero, but not so much – actually had several even almost agree with me! And not too many comments on why he was crying, or his emotion, or of his singing of “Tonight?” But that’s ok.
Grazie a tutti, ancora, for all the warm fuzzies I get with your comments! I love reading them all while I am at work (oops, don’t tell the boss!) I don’t do too many posts as I need to have something really “move me” or inspire me to “feel the need” to express my emotions. I say Ignazio sings with his heart on his sleeve…I think I write with mine on my sleeve!? Since everyone is feeling “sorry” for Gianluca and wants to “reprimand” Ignazio, who is going to be brave enough to tell Ignazio this? If this bothers Gianluca as much as we think it does, why hasn’t Gian stood up to Ignazio to tell him “knock it off?” He must know it goes on? I’m sure he sees the videos and others tell him it happens? We can’t blame Ignazio for all of it? Ignazio has said before that sometimes the truth hurts, but it still has to be said. Sometimes it’s not so easy taking your “own medicine.” And, more often than not, the truth, although sometimes painful, is really told out of love – even though it is not perceived as so at the time. If we “love” our guys as we say we do, shouldn’t we tell them how we feel? People wonder if they read this site, or the posts? I think Marie said they do, but not sure when they have the time now, that is for sure! I’d like to think they read them, especially the ones about them? Ok, the Meet and Greets are coming up, what are you going to say to the guys? p.s. I’m positively starving! It’s 9:45p and I haven’t had my dinner yet, but wanted to respond to everyone’s comments before they got cold! 🙂 So, if I’ve missed yours, I’ll come back to it soon, I promise! My feeling is they are gifted gifted gifted singers, but they are entertainers also. They have many people around them to give advice, I think they balance their talent, their entertainment value and their youth amazingly well. Of course we would not expect to see Pavarotti, Domingo & Carreras to be humorous but then I would rather see Il Volo perform any day. Yes, I think they had been given some very sage advice when they were younger and they were smart enough to listen them! As they got older, I think they started to make some of their own decisions and it is often seen now in the interviews and how they respond to questions and their interactions with each other. When you get down to it, you stop and think of their truly young ages and all that they have been through and it’s hard to believe they are only in their early 20s. They have more intelligence than some people twice their age! Yes, they are very entertaining! I absolutely love Ignazio voice much more then Piero and Gianluca voice. Ignazio voice is breathtaking and timeless so much passion where you can feel every pain in your body ,but the good kind and sadness that can’t forget and a never ending joy. I absolutely adore him and wouldn’t change one hair on his body. I Believe he acts the way he do for one he just that kind of person and is and always was the funny guy and two I feel as tho he tends be pushed to the side compared to the other two. The third wheel so acting that way is to show fans that he more or equal as charming. I think acting like a kid is not childish acting like a kid is what makes life and youth enjoyable . Life is to short act like an adult all the time. He is very private person and like keeps things to him self much more then the other two, but when he is on stage he lets go of everything and enjoys every aspects of being in the light. Welcome Amanda, and thank you for your comments! I so agree with all that you said! Hi Amanda I agree with your comments regarding Ignazio & being pushed aside. Interviewers are ignorant at least most of them & that is what quite often happens that Ignazio will be ignored as he used to be when he was heavier. Especially by women interviewers. At times & depending on the person heavier people are ignored in my opinion which I have seen often in my life time & that is what would quite often happen when they were starting out the interviews were directed to Gianluca as well as the cameras. It isn’t quite as prevalent now as it used to be but you can still see it sometimes. It was wonderful that Gialuca won when younger for best singer at his age of 14 & he is a warm & caring young man of the fans, family & Ignazio & Piero but you can still see interviewers & camera people can’t seem to get pat the idea that now he is older & sharing the beginning of a career with his team mates & they need to be treated equally. Equality is important to me I don’t like to see one of them treated differently than the others. It makes me feel good & also them. Equality is important, which is why I wish they could STOP having interviews with only two microphones instead of three. Very tacky on the part of the television or radio station! Details like that matter! I am lucky to have an Italian TV channel (Rai) in South Africa. On this channel they show parts of concerts dating from the 60’s to the 90’s. These concerts are very amusing with lots of funny antics ~ I see a lot of Ignazio’s antics originate from those concerts and programs. Maybe he studies these for fresh ideas? I thoroughly enjoy Ignazio’s antics, his sense of humour ~ innocent and lots of fun, just not when Gianluca or Piero are doing their best to give a perfect rendition of their part of a song that are singing. Also, many European people, ie Italians, Hollanders and Germans, when they come together, just love to join in singing along to the songs they love and know so well. Hey Marie, only 44 more days to wait for our first concert !!!!!!!!!!!!!!!! ok, there certainly seems to be a consensus that maybe we should tell Ignazio how we feel about his antics? Yes, we can get RAI here also, but I think the programming is different, depending on the location/network. Looking forward to meeting you! Ok, this site is weird in that you can only comment twice on any given comment, so, in response to Loretta on her response to me on Piero’s “transgression” – thank you! Yes, I feel that was pretty unforgiveable. I can only imagine what Ignazio did or said to him after the concert was over – maybe nothing? maybe, not!? It takes a lot to rile my feathers, but that definitely was it! That happened right before our meet/greet at PBS and I so wanted to ask him about it, like was he expecting it, but it was a little more impact than expected, but I would have been way too embarrassed! Yes, there would certainly be no replacing one of them if they ever broke up. Maybe that is why they keep having them do these different duets? Just in case one of them decides to leave the group? Scary thought? Hi, Jana. Thank you for the info. WOW!! I can feel the pain, even ‘tho I don’t have those “jewels”. To me, that is WAY OVER the top of funny antics. I, also, hope that Ignazio let him have it after the concert. I’m glad he made it through the rest of the song. I am a little surprised with Piero. “Licking” the cake is nothing compared to what he “received”! There funniness during Deliah was cute and at the Greek Theater in 2014 in Los Angeles, it was cute when they sang “Maria” and each one said they had a girlfriend named Maria. But this was too much. Hopefully, as they get older and older, their antics will just be fun kidding with each other. Like you said, family members in the audience. I wonder what they thought. Well, again. Thank you for telling me. Hopefully some day I can meet all of you ladies at a concert. p.s. and, unfortunately, someone did get a really good video of the whole thing! ON the night of Piero’s “offence to Iganzio tender parts” did it ever occur to any of you that Piero was getting even? I have been around young guys a lot in my life and I know the physical things they do to each other that would make most of us wince! When I viewed that film that is the first thing that sprung to my mind: Piero took revenge! Remember that one M&G clip where Gianluca took careful aim and really smacked Piero’s lovely tushie? yup. Like that. Boys can just be weird. Italian young men are just grown up boys and they have their antics. Gotta love them all the same! Pirate – yes, I did think that, but still can’t think of anything Ignazio could have done to deserve that one! 🙂 Are you referring to the PBS meet & greet from July last year? I actually have a still camera shot of Gian’s “backhand” swing… lol! Another 2 cents from me. This subject of Ignazio reminds me so much of Dean Martin and Jerry Lewis when they performed together. Jerry would NEVER let Dean sing! There was always a lot of horsing around and fun stuff but then Jerry would leave the stage, the music would start and the magic of Dean’s voice would just sweep you away… when right in the middle, Jerry would come back on stage and with that annoying screetching voice would interrupt Dean’s singing. Everyone in our living room would start screaming at the TV, “Let him sing, let him sing!! OH NO Not again!! !” Dean and Jerry split up and Dean went on to a great singing career, TV show, movies, etc. and a member of the RAT PACK.. Jerry thought he was being funny but it showed a lack of professionalism, a lack of respect for Dean and just plain bad manners. In the recent video, you can, also, see Ignazio bothering the guitarist, can’t remember his name, kissing his head and even touching the guitar. The guitarist just kept smiling but I remember an earlier concert video where the same guitarist was very visibly annoyed. Looks like someone spoke to the guitarist to ‘go with the flow, grin and bear it’ instead of putting the brakes on Ignazio. Personally, I feft very sorry for and embarrassed for, gianluca when Igna mocked and made fun of Gianluca’s rendition of ‘Maria’ when Gian would go down on his knees singing with so much passion and emotion. Of course, then, the song was taken away form Gian and it became the 3 couchs, 3 girls and the 3 guys song. Again, I hate to see this rivalry because I feel it could lead to a split sooner rather than later. Ps. I say Gianluca, because I have seen this happen especially with him, with Piero he is more partner.